Drive shaft pinion gear only. 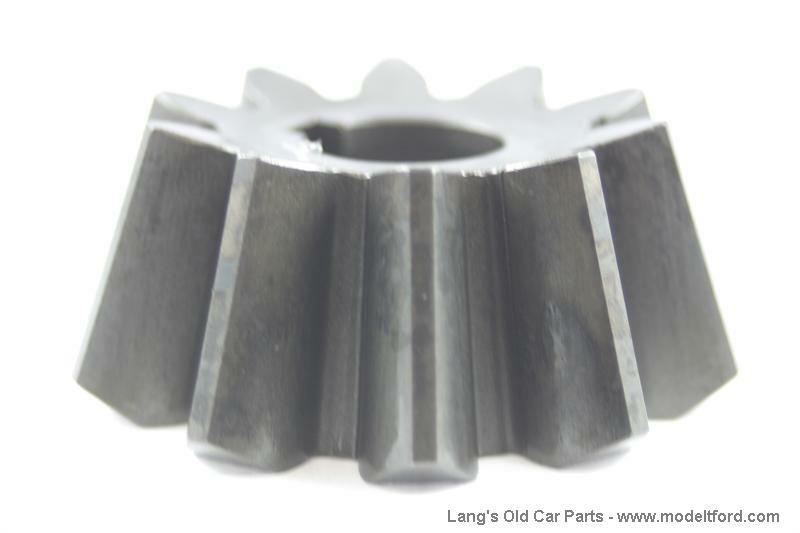 10 tooth pinion gear. 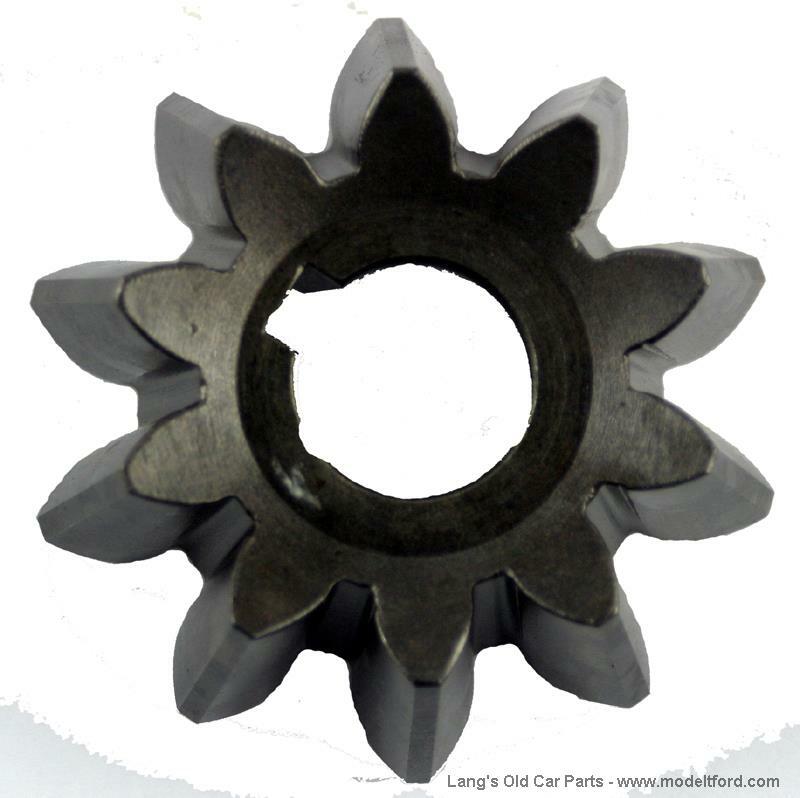 4-1 gear ratio. Higher torque for better climbing and acceleration, but spins the engine quicker. 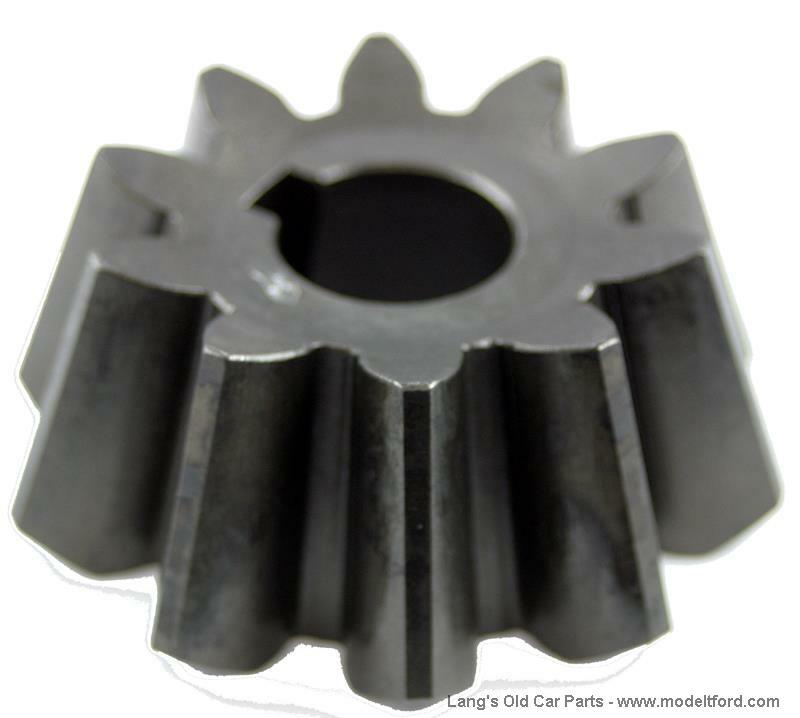 This is an ideal gear ratio for climbing hill and cars that have a Warford transmission with overdrive. 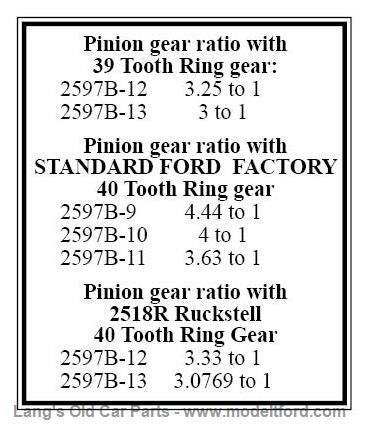 USE ONLY WITH Standard Ford Factory 40 tooth large ring.